This Drive Rite multi-v belt is designed to provide better belt-to-pulley contact. The specialized rubber compound incorporates a high temperature polymer formulated to maximize load carrying requirements and belt life. 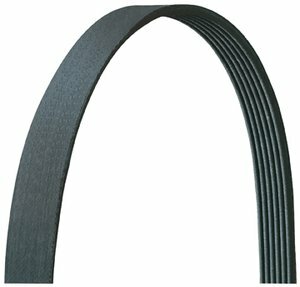 This Drive Rite belt has been constructed and engineered to meet the stringent demands of today's automotive drive systems. The Drive Rite multi-v belt delivers long-lasting dependable belt life.